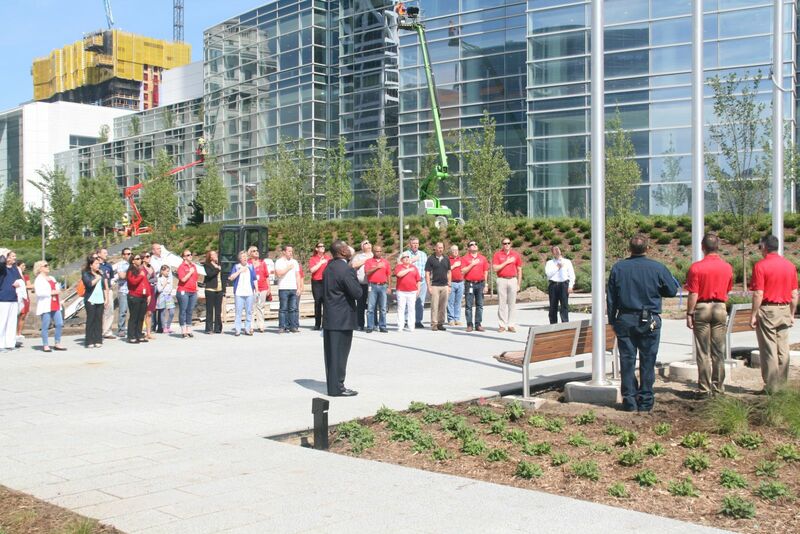 Those in attendance recite the pledge of allegiance before the flag. Photo taken July 3rd, 2017 by Jeramey Jannene. All Rights Reserved.